Contra Force is an action shooter game for the Nintendo Entertainment System. 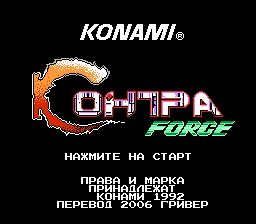 This is a Russian translation of Contra Force for the NES. More details.